On April 4th, 2019 The University of Rochester held the 4th Annual Three Minute Thesis competition finals. Eight Finalists were selected and spoke for 3 minutes on their chosen research topic. "Memories can change the way we smell"
"Computer-Aided Drug Discovery: Machine Learning and Computational Chemistry"
"Determinants of urinary biomarkers of pesticide exposure among pregnant women in Costa Rica"
"Microplastics: In your food and water"
"Youth Violence: Everything I needed to know, I learned in preschool"? The new issue of opportunities to explore is out now! The Graduate Education & Postdoctoral Affairs Office is excited to introduce you to SMD’s new Access Specialist for graduate students and postdocs, Jen Prosceo. Jen joins us from MCC where she served as the Deaf/Hard of Hearing Specialist in MCC’s Disability Services Office. Prior to MCC, Jen worked as an ASL/English Interpreter in RIT’s Colleges of Liberal Arts and Imaging Arts and Sciences. Students and postdocs may contact Jen directly to discuss/arrange for access services. 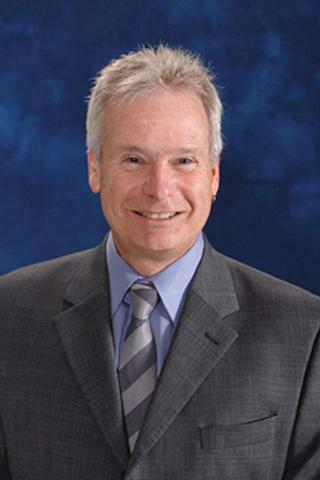 Handy Gelbard, M.D., Ph.D., professor and director of the Center for Neurotherapeutics Discovery at URMC, is the 2019-2020 recipient of the Herman and Gertrude Silver Award, which honors individuals who have made significant contributions in the field of pediatric HIV and AIDS. The award is given by the Children’s Hospital of Philadelphia (CHOP) and the Department of Pediatrics of the Perelman School of Medicine at the University of Pennsylvania. Past award winners include a Nobel laureate and HIV investigators from leading academic institutions, the National Institutes of Health (including the current directors of the Office of AIDS Research and the National Institute of Allergy and Infectious Diseases), and the Centers for Disease Control and Prevention. For the past 10 years Gelbard’s lab has been developing a compound called URMC-099, which dampens inflammation and has shown promise in reversing the neurological problems associated with HIV. Children with HIV who are taking combination antiretroviral therapies are extremely vulnerable to inflammation; the developing nervous system is of particular concern, as inflammation in the brain can lead to major cognitive problems. The possibility of a new class of therapies that reduces the burden of neuroinflammation and supports normal synaptic architecture (the basis for learning and memory) offers considerable hope for children that are saddled with the unwanted burden of HIV, despite effective control of the virus. Gelbard believes the path forward for URMC-099 as an adjunct agent for children living with HIV and neurologic disease will likely involve combination therapy with next generation antiretroviral agents. This is a priority in resource-limited settings such as Africa, and Gelbard is working with David Bearden, M.D., assistant professor in the division of Child Neurology at URMC to help advance uses for URMC-099 in pediatric patients there. Bearden’s work is supported by a National Institute of Neurological Disorders and Stroke grant to Gretchen Birbeck, M.D., M.P.H., professor of Neurology and Michael Potchen, M.D., professor of Imaging Sciences. The work is also supported by the University of Rochester Center for AIDS Research. Gelbard will receive the Silver Award in November during a two-day symposium at CHOP. He will present pediatric grand rounds describing his progress in inventing the class of compounds spearheaded by URMC-099 and its role in treating pediatric and adult HIV infection and its complications. He’ll also give a seminar on current and future developments related to URMC-099 to attendees from multiple medical and scientific institutions in Philadelphia. The new issue of opportunities to explore is out now! Remember that next week is graduate student appreciation week! Ben serves as the Admissions Coordinator, managing the day-to-day admissions operations, and serving as assistant to the Senior Associate Dean for Graduate Education and Postdoctoral Affairs (SAD-GEPA). He also serves as Course Administrator for the “Ethics and Professional Integrity in Research” course, taught in the Fall semester. Congratulations to Jesse Wang, a student in the UR CTSI Translational Biomedical Science Ph.D. program, who was one of four finalists in the ACP Innovation Challenge 2019. Wang presented his "digital scribe" technology at this “Shark Tank”-style competition hosted by the American College of Physicians, on Saturday, April 13. His digital scribe technology can capture statistical speech analysis and natural language conversation between a physician and patient and automatically update eRecord. The system would capture and document the appropriate information during a patient interview, alleviating physicians' workload. This award assists students and trainees at the University of Rochester School of Medicine and Dentistry to attend important national or international meetings at which they will present their research and make professional connections. Two awards of up to $1000 will be given this funding cycle: one for clinical research and one for basic sciences research. This award is best suited to advanced students for whom conference attendance can be expected to have the largest career impact. The most competitive applications will be from presenting authors (either poster or platform presentations) who are in the mid to late stages of their educational experience. Apply by Friday, May 3, 6:00 pm. Jesse Wang remembers exactly when his crusade began. The doctor he had seen since childhood turned a computer screen towards him during an office visit, in obvious frustration. He couldn’t get the program started to make the required entries in Wang’s electronic medical record. Wang, who is pursing both a medical degree and a PhD in translational biomedical science at the University of Rochester, understands the frustration. Especially when he reads studies showing it’s not unusual for physicians to be online maintaining patient e-records from 5 in the morning until 9 at night. “It’s not what I signed up for; it’s not what any doctor signed up for,” Wang says. Thanks to Rochester’s Medical Scientist Training Program, which allows him to combine his interest in medicine with his passion for coding, Wang is well positioned to do something about the problem. He’ll explain how, as one of four finalists in the ACP Innovation Challenge — a “Shark Tank”-style competition hosted by the American College of Physicians on April 13 in Philadelphia. During an eight-minute pitch in front of a panel of judges — and an audience of 100 or more physicians — Wang will describe the virtual assistant he is creating. The device will use speech recognition and natural language processing to take over the job of maintaining patient e-records, freeing up physicians to concentrate on their patients. The device would be less expensive than hiring a transcriptionist, Wang says, and less obtrusive for patients who find it hard enough to divulge personal health information when there’s just a physician in the room. He already has a prototype for transcribing the summary portion of a patient’s visit. Wang, who is from Westford, Massachusetts, came to Rochester after majoring in physiology and neurobiology at the University of Connecticut. He is now in his fourth year of Rochester’s Medical Scientist Training (MD/PhD) Program, which currently enrolls 66 students. The program incorporates the MD and PhD degrees into a cohesive curriculum that endows the select group of students with the clinical and basic science skills needed to understand disease and to translate that understanding into new therapies. Students spend the first two years on their medical degrees, then complete their PhDs in four years before returning for the last two years of medical school. Wang is pursuing his PhD in translational biomedical science under the direction of Henry Kautz, professor and former chair of computer science and founding director of the Goergen Institute of Data Science. Wang is now thinking about forming his own company after he graduates. He would use his medical and computing background to pursue his virtual e-record assistant and other medical-related projects full time. “Physicians go to programmers for help with a lot of things besides e-records. It might be for applications for telemedicine,” Wang says. “But it can be hard for them to convey what they need to a programmer who doesn’t have a medical background. Danielle Benoit says it’s “an outstanding opportunity for everybody involved” when undergraduates do research in her lab. Former students Tim Felong ’14, Amanda Chen ’14, and Janet Sorrells ’17 will all vouch for that. “I wouldn’t be in medical school right now if it weren’t for Danielle’s mentorship,” says Felong, now at the University at Buffalo’s Jacobs School of Medicine and Biomedical Sciences. Benoit, an associate professor of biomedical engineering, is this year’s recipient of the College Award for Undergraduate Teaching and Research Mentorship at the University of Rochester. The award will be presented to Benoit at the Undergraduate Research Exposition on April 19 at the Welles-Brown Room of Rush Rhees Library. For example, several of the undergraduate students from her lab, including Chen and Sorrells, have received prestigious National Science Foundation graduate research fellowships to support their graduate studies. Benoit, who joined the University of Rochester in 2010, develops therapeutic biomaterials for tissue regeneration and targeted drug delivery. For example, she and her collaborators developed a device that selectively delivers drugs to sites of bone resorption to heal fractures and treat osteoporosis. She has also pioneered the development of hydrogel-based engineered extracellular matrices for bone and salivary gland tissue regeneration. She has been lead, corresponding, or co-author of more than 70 papers in top journals; has received numerous grants, including an NSF CAREER award; has garnered nine approved or pending patents; and was recently elected a fellow of the American Institute of Medical and Biological Engineering. She has provided research experiences for more than 80 undergraduates in her lab. “For me, part and parcel of being a faculty member here is to teach on multiple levels, not just in the classroom but also in the lab, where I can teach undergraduate and graduate students alike the best, cutting-edge research practices,” Benoit says. Students say the benefits of working in the Benoit Lab extend beyond the research skills they learn. “Danielle has always been my go-to mentor for all sorts of advice – moral, social, intellectual – and was a powerful advocate for me if I ever found myself in a challenging situation,” Chen says. 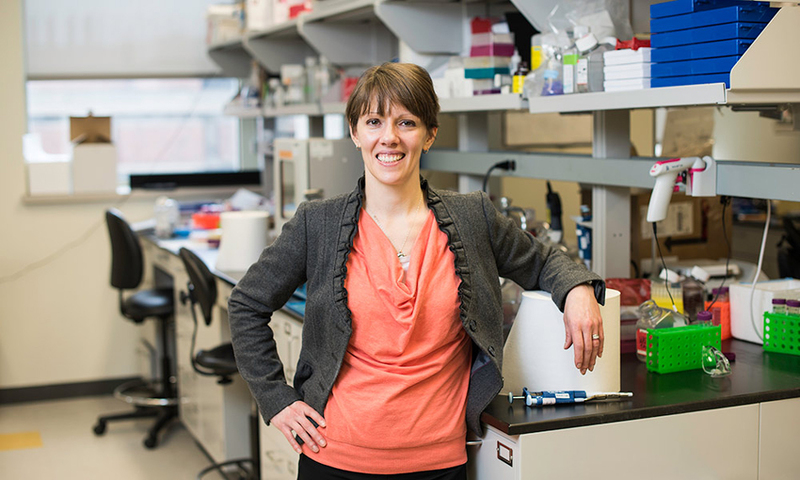 In addition to mentoring students in her lab, Benoit teaches courses including Advanced Biomaterials, Controlled Release Systems, Research Methods, and, starting this spring, Cell and Tissue Engineering, which is the capstone course for biomedical engineering majors with concentrations in that subfield. She also developed and taught for eight years a biomaterials course, required of all biomedical engineering majors, that typically enrolls about 70 students. 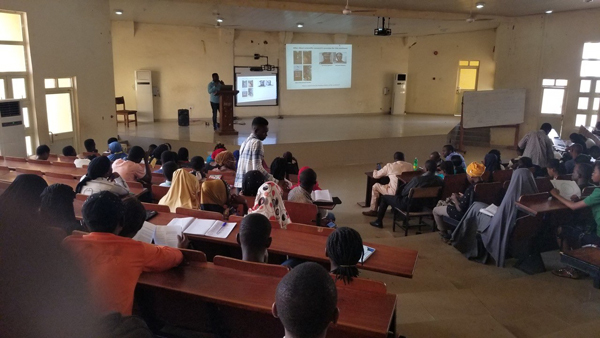 She designed the laboratory components of the course so they would dovetail with a biomedical computation and statistics course students take at the same time. Benoit also supervises a senior design team each year, meeting with teams at least weekly, guiding them in their design and engineering, and mentoring them on teamwork and project management. Perhaps the ultimate measure of a good teacher is the ability to inspire, motivate, and serve as a role model. Judy serves as Secretary for the Office for Graduate Education and Postdoctoral Affairs (GEPA), acting as a secondary receptionist and helping to monitor department budgets. She also provides support to the UR Postdoctoral Association. Trainees typically contact Judy with general inquiries, to discuss spending and reimbursement for events sponsored by GEPA and the Center for Professional Development, and to discuss Postdoctoral Association events. To contact Judy, call her directly at 585-275-5022 or email Judy Conkling. Almost 10 years ago, Brad Berk had the idea that the Medical Center should position itself to take a lead in the new field of cell-based therapies by constructing a manufacturing facility that could produce those cells under the highly regulated conditions that are required by the FDA. Brad’s vision was that, by doing this, we would enable UR to deliver first-in-human therapies to patients. Fast forward, and the facility we built – the Upstate Stem Cell cGMP Facility (USCGF) – is working in coordination with Torque Therapeutics (Cambridge, MA) to produce modified T cells that are being infused into cancer patients as part of a clinical trial that started earlier this month. As with most research partnerships, our relationship with Torque is fundamentally a relationship between people, and an expression of trust in the team led by USCGF Director Luisa Caetano-Davies. It’s worth noting that only two years ago, Luisa was a postdoctoral fellow in Chris Proschel’s lab. Her subsequent success and growth are the combined result of a lot of hard work, intelligence and – in no small measure – opportunities created by our URBEST program. The Torque trial is a huge step for the USCGF because it represents the first time that a cell-based product produced by our facility has been administered to human subjects. But it’s also an important step for our Medical Center, when viewed in the broader context of our evolving approach to clinical trials. Pat Ames is heading up a new Office of Clinical Research, working with Martin Zand, Steven Wormsley and many others to lead the implementation of a clinical trial management system to improve our clinical trials infrastructure. This system will streamline and automate many cumbersome clinical research processes and reduce administrative burden on our research teams, helping us conduct more clinical trials and offer more treatments to our patients and community members. At the same time, Paul Barr in the Wilmot Cancer Institute (WCI) was just awarded a major new grant to support WCI involvement in National Cancer Institute (NCI) cooperative group clinical trials. This award establishes URMC as one of 30 lead academic sites within the NCI consortium, a designation rarely given to an institution that (currently) does not have an NCI-designated cancer center. Perhaps most exciting of all, Mark Noble and Nimish Mohile recently received a highly encouraging score for a proposal that would (if funded, as we hope it will be!) launch a first-in-human trial of a new cancer treatment that is the result of fundamental research conducted in the Noble laboratory. Based on a new tumor-specific vulnerability, and discovery of existing drugs with the unexpected property of attacking this vulnerability, the new therapy eliminates cancer stem cells in glioblastoma (one of the most deadly human cancers). This is exactly the kind of bench-to-bedside science that Brad envisaged ten years ago. We’ve made lots of progress, and there’s more to come. It’s an exciting time to be involved in research at the Medical Center. Twelve teams competed this year in the sixth annual America’s Got Regulatory Science Talent student competition. Teams proposed a wide range of novel solutions to address the nine scientific priority areas outlined in the Food and Drug Administration’s (FDA) Strategic Plan for Advancing Regulatory Science. From a farm-to-table produce-tracking app to a public alert system for product recalls and disease outbreaks, this year’s competition was full of innovation. Learn more about the top three winners on the UR CTSI Stories blog. Colleen serves as Secretary for the office of Graduate Education and Postdoctoral Affairs (GEPA), providing administrative support for the staff within GEPA, acting as the primary front desk liaison between students, faculty, staff and visitors and the GEPA Dean and staff. Colleen supports recruitment and admissions, the PREP and Summer Scholars programs, and Center for Professional Development (CPD) and Graduate Student Society (GSS) initiatives. Trainees typically contact Colleen with general inquiries, to discuss CPD or GSS event management, and to schedule a meeting with Tracy Pezzimenti or Caroline Callahan. To contact Colleen please call 585-275-4522 or email Colleen Bailey. Michael Golinkoff (left), one of the founders of Emily’s Entourage; Phil Thomas (middle), cystic fibrosis researcher at UT Southwestern, John Lueck (right), assistant professor of Pharmacology and Physiology at URMC. There are all sorts of “typos” in our DNA that can lead to disease. One kind of typo – a premature termination codon or PTC – is responsible for 10 to 15 percent all genetic diseases, including cystic fibrosis and Duchenne muscular dystrophy. PTCs lead to the production of short and often deleterious proteins. A recent paper by John Lueck, Ph.D., assistant professor of Pharmacology and Physiology and Neurology, shows how high-throughput screening may be used to fix these typos and lessen disease severity. Published in Nature Communications, the study found that modifying tRNA (a type of RNA molecule that helps convert messenger RNA or mRNA into protein) can help the cell make a full length protein, even with a PTC in the middle of the gene. With this new technology to modify tRNA, the authors were able to use gene therapy to suppress faulty versions of a gene in skeletal muscle, and instead force the cells to produce a full-length protein. While these studies are still in the early stages, Lueck was recently awarded a unique pilot grant from Vertex Pharmaceuticals to continue this work. This work was funded by Emily’s Entourage and the Cystic Fibrosis Foundation and accomplished with the collaboration of researchers at the Cystic Fibrosis Foundations Therapeutics Lab, the Wistar Institute, University of Iowa, and Integrated DNA Technologies, Inc. 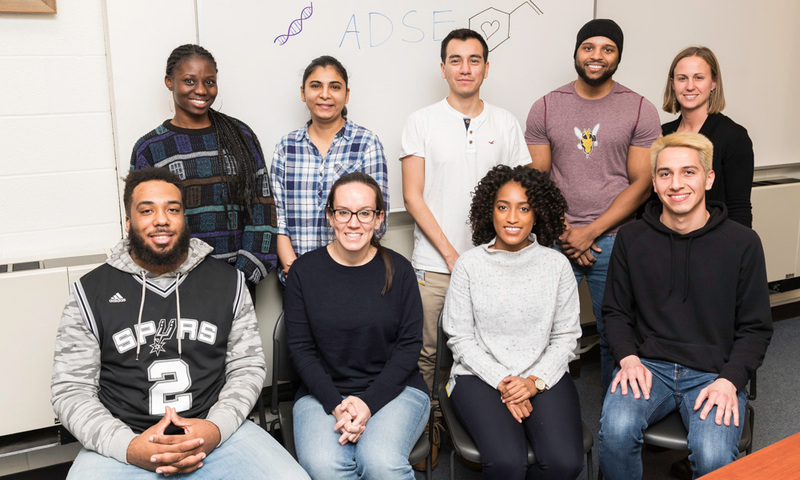 Eight students from the Health Services Research and Policy PhD Program will be presenting their research at the 2019 Annual Research Meeting (ARM) in Washington, D.C.
“AcademyHealth’s Annual Research Meeting shares important findings and showcases the latest evidence to move research into action and improve health and health care”. Participants were selected on a competitive basis. Does the Dementia Care “National-Partnership” Improve Outcomes for Nursing Home Residents with Dementia? Ninoshka Fernandes, biomedical engineering, “CD4+ Effector T cell interactions with the Extracellular Matrix at Sites of Inflammation.” 2:15 p.m. March 29, 2019, 3-6408 K-307 Auditorium (Medical Center). Advisors: Deborah Fowell and Edward Brown. Abigail Freyer, chemistry, “Investigation of Doped Nanocrystals Utilizing Electrostatic Force Microscopy.” Noon, April 1, 2019. 209 Computer Studies Building. Advisor: Todd Krauss. Tianran Hu, computer science, “Decoding Human Lives from Social Media Data.” Noon, April 3, 2019. Dewey 2110E. Advisor: Jiebo Luo. Allison Li, pathology, “Assessing the Role of Myelodysplastic Syndrome (MDS)-Induced Bone Marrow Microenvironment Remodeling in MDS Progression.” 1 p.m., April 3, 2019. 1-7619 Lower Adolph (Medical Center). 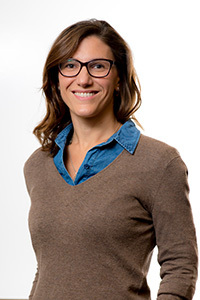 Advisor: Laura Calvi. Mohammad Kazemi, electrical engineering, “Scalable Spin Torque Driven Devices and Circuits for High Performance Memory and Computing.” 2:30 p.m. April 8, 2019. Computer Studies Building 703. Advisor: Mark Bocko. Thomas Nevins, physics, “Fronts and Filaments: Methods for Tracking and Predicting the Dynamical Effects of Advection on Excitable Reactions.” 11 a.m., April 12, 2019. Bausch and Lomb 106. Advisor: Douglas Kelley. Acute kidney injury — a sudden decline in kidney function — occurs frequently among hospitalized patients with serious, long-lasting effects and even increased risk of death. It’s often preventable, but we currently lack the ability to reliably predict when it will happen and to whom. That is why researchers at the Clinical and Translational Science Institute (UR CTSI) analyzed data from over 34,000 patients to develop a risk score for acute kidney injury that could help doctors intervene and prevent it. Part of the reason we can’t predict when a patient will develop acute kidney injury is that while some risk factors are known, we often don’t use them in a coordinated way. For example, machine learning papers often focus on factors that increase risk of acute kidney injury, such as diabetes and medications, but not those that lower that risk. On top of that, most previous studies have looked at single hospitalizations for all patients, many of whom have not been previously hospitalized. By not looking at patients’ past data, those studies missed the opportunity to discover health factors or patterns that reliably precede acute kidney injury. Samuel Weisenthal, an MD-PhD student, and Martin Zand, co-director of UR CTSI, took a different tack, focusing on re-hospitalized patients. The pair and their colleagues analyzed electronic health record data from patients’ prior hospitalizations to identify factors that predict acute kidney injury. From those factors, they used machine learning to developed a risk score that could be calculated for patients at the time of re-hospitalization. “Developing an accurate risk index for acute kidney injury in re-hospitalized patients could have a major impact on hospital care, particularly if it could allow preventive intervention or better tailored treatments from the time of hospital admission,” says Zand, who is also the senior associate dean for clinical research at URMC. For example, acute kidney injury caused by radiocontrast dye or chemotherapy can be prevented by administering fluids or altering a patient’s treatment plan. When these factors are adjusted accordingly, patients fare better and the cost and length of stay can be decreased. And while such predictive systems require extensive validation before clinical deployment, this work is a step toward creating acute kidney injury predictions, specifically for re-hospitalized patients. “This study will hopefully help move us in the direction of an automated, locally trained tool that leverages sometimes hidden, longitudinal electronic health record data to estimate acute kidney injury risk without manually ordering tests or collecting and entering data,” says Zand. Read the full study in PLOS One. Phillip D. Zamore, Howard Hughes Medical Institute investigator and professor of biomedical sciences at the University of Massachusetts, will lecture on piRNAs and the Struggle to Reproduce at the 31st Annual Genetics Day, to be held 9 a.m. to 3:15 p.m. April 25 in the Class of ’62 Auditorium and Flaum Atrium. Register for a poster presentation by 5 p.m. Monday, April 15. Cash prizes will be awarded for graduate student and postdoc posters. The new issue of opportunities to explore is out now! This issue is packed with events, resources, funding opportunities and courses! Caroline is the Assistant Registrar for Graduate Programs. She supports the student registration process and prepares student records. Trainees typically meet with Caroline to discuss registration issues, enrollment or degree verification, and commencement. To request a meeting with Caroline, please contact her directly (585) 273-1620 or Caroline Callahan. Tracy is the Registrar for Graduate Programs in the Office of Graduate Education and Postdoctoral Affairs. She serves as the official steward of SMD graduate student records ensuring the integrity of all student records. While students are welcome to meet with Tracy to discuss any topic, students typically meet with Tracy to discuss matters dealing with academic policies, academic progress, registration issues, and academic support. To request a meeting with Tracy, please contact her directly (585) 275-7288 or Tracy Pezzimenti. Steve serves as the Assistant Director of Finance and Administration for the office for Graduate Education and Postdoctoral Affairs (GEPA), helping coordinate financial/HR-related issues and event logistics for the office and its programs. Trainees typically meet with Steve to discuss Center for Professional Development programming, policies related to the Graduate Student Society and Postdoctoral Association, and to schedule meetings with Sharon McCullough. To request a meeting with Steve, please contact him directly at (585) 273-4650 or email Stephen Naum. New Medical Center research in the journal Proceedings of the Royal Society B sheds light on how the damage in the brain caused by a stroke can lead to permanent vision impairment. The findings could provide researchers with a blueprint to better identify which areas of vision are recoverable, facilitating more effective interventions to encourage vision recovery. The research has formed the basis of a new clinical trial for stroke patients with vision loss that is now under way at URMC and lead by Sahin. The study involves a class of drugs called selective serotonin reuptake inhibitors, the most common of which is the antidepressant Prozac. The inhibitors are known to enhance neuroplasticity – the brain’s ability to rewire itself and form new connections to restore function after damage. The hypothesis is that the drug will help restore vision by fostering the development of new connections between areas of the brain necessary for interpreting signals from the healthy eye cells. A stroke in the primary visual cortex can result in blind areas in the field of vision. While some patients spontaneously recover vision over time, for most the loss is permanent. A long-known consequence of damage to neurons in this area of the brain is the progressive atrophy of cells in the eyes, called retinal ganglion cells. When this occurs, it becomes more likely that the person will not recover vision at that location. The new research involved 15 patients treated at Strong Memorial and Rochester General Hospitals for a stroke that affected the primary visual processing area of the brain. The participants took vision tests, underwent scans in an MRI to identify areas of brain activity, and were administered a test that evaluated the integrity of cells in their retina. However, the researchers observed that some cells in the eye remained healthy, even though the patient could not see in the corresponding field of vision. This finding suggests that these eye cells remain connected to unscathed neurons in the visual cortex and that visual information was making its way from the eyes to the visual cortex, even though this information was not being interpreted by the brain in a manner that allowed sight. Eric serves as the Director of Career Services and assists graduate students, postdoctoral trainees and alumni with career service and employment search needs in the office for Graduate Education and Postdoctoral Affairs (GEPA). While trainees are welcome to meet with Eric to discuss any topic, trainees typically contact Eric to discuss career related topics including career exploration, CV/resume and cover letter writing, job search strategies, employment application assistance. interviewing techniques, mock interviews, LinkedIn profile development, networking strategy and Individual Development Plans (IDP). To request a meeting with Eric, please complete an online REDCap Center for Professional Development Service Request. URMC is home to one of six NIH-designated Wellstone Centers in the nation. URMC was selected in the first cycle of funding when the program was launched 16 years ago and is the only Wellstone Center that has been continuously funded since the program’s inception. With the current award, URMC has received a total of $29.8 million in NIH funding to study the disease since 2003. The URMC Wellstone Center focuses on myotonic dystrophy, a disease that can be lethal in infants and adults and is characterized by progressive disability. Researchers at URMC have been studying myotonic dystrophy for more than 30 years and their work has transformed our understanding of the biological mechanisms of the disease. The new funding will support a long-standing collaboration between researchers at the University of Rochester and RNA scientists at the University of Florida. Approximately 40,000 Americans have myotonic dystrophy, which is one of the most common forms of muscular dystrophy. People with the disease have muscle weakness and prolonged muscle tensing (myotonia), which makes it difficult to relax muscles after use. Eventually many patients have difficulty walking, swallowing, and breathing. Elaine serves as the Director of Scientific and Scholarly Advancement/Director of Writing Services and assists graduate students, postdoctoral trainees and alumni with writing assistance in the office for Graduate Education and Postdoctoral Affairs (GEPA). In addition, Elaine also serves as PREP Education Director for GEPA. While trainees are welcome to meet with Elaine to discuss any topic, trainees typically contact Elaine to discuss any writing project, including, but certainly not limited to, manuscripts, qualifying exams, grants, and dissertations. Each trainee who meets with Elaine will receive individualized assistance based on the trainee’s needs and writing project. To request a meeting with Elaine, please complete an online REDCap Center for Professional Development Service Request. Xi Lin, MS, 2019 ORS/RJOS Young Female Investigator Travel Grant awarded by the Orthopaedic Research Society, Women's Leadership Forum, and the Ruth Jackson Orthopaedic Society. Xi is a Student of Lianping Xing, PhD, Pathology. Her research interest is OA pathogenesis: how macrophages contribute to localized inflammation through their effect on the lymphatic system. Aleta Anthony serves as the Director of Graduate Enrollment for PhD, Master’s, and Certificate programs for the School of Medicine and Dentistry (SMD) in the office for Graduate Education and Postdoctoral Affairs. While students are welcome to meet with Aleta to discuss any topic, students typically meet with Aleta to discuss the admissions process for SMD programs including how to apply, application requirements, recruitment events, and general application questions. To contact Aleta, please contact her directly at (585)275-0102 or email Aleta Anthony. GDSC student Matt Ingalls won an award for his poster presentation at the 2019 Gordon Research Conference for Salivary Glands and Exocrine Biology in Galveston, Texas (February 2nd – 8th). The GRC brought together leading researchers in the field of salivary gland biology from around the world. Matt’s poster, titled “Lineage Tracing Following Radiation Treatment Unveils Intrinsic Regeneration Potential in Adult Salivary Glands”, highlights differences in radiation response between the submandibular and parotid salivary glands. Utilizing lineage tracing models his work demonstrates the intrinsic regeneration potential of the adult salivary gland. The NIH-supported research was conducted in the laboratory of Dr. Catherine Ovitt and was co-authored by E. Maruyama and P. Weng. -- Congratulations Matt! Sharon serves as deputy to Dean Libby and directs the day-to-day operations and staff in the office for Graduate Education and Postdoctoral Affairs (GEPA). While students and postdocs are welcome to meet with Sharon to discuss any topic, trainees typically meet with Sharon to discuss Center for Professional Development initiatives, trainee organization matters (including the Graduate Student Society and Postdoctoral Association), postdoctoral policies/appointments and related concerns, and student HR/payroll matters. To request a meeting with Sharon, please contact Steve Naum at (585) 273-4650 or email Stephen Naum to request an appointment with Sharon. At the meeting, AAI members and meeting chairs, Robert Binder and Cherie Butts, also presented Seble with a 2019 AAI Young Scholars Travel Award, to attend the 2019 AAI Annual Meeting this May in San Diego. In addition to being Dean, Rick is a Professor of Ophthalmology and Biomedical Genetics, and a member of the Center for Visual Science. While students and postdocs are welcome to meet with Rick to discuss any topic, trainees typically meet with Rick to discuss concerns related to coursework, research or related academic progress, and program/committee/advisor dynamics. To request a meeting with Rick, please contact Benjamin Lovell at (585) 275-2933 or email Benjamin Lovell. All URMC students are paired with a personal librarian who is their "go-to" person for help doing research, using library resources and finding answers to questions. Personal librarians don't simply supply the needed information; they work with students to find it. Graduate students work with the liaison librarian for their department. Check Miner's Staff Directory to find the liaison librarian for your department. assisting students in their initial research by recommending appropriate databases and helping devise effective literature search strategies. providing instruction on using RefWorks, EndNote or Mendeley to manage citations and format manuscripts. For assistance contact your personal librarian or the on-call librarian at Miner_Information@urmc.rochester.edu or 275-2487. Also see Miner's Writing, Citing & Publishing Guide. Miner's Computing Center supports iPad deployment and use for medical students and School of Medicine & Dentistry faculty. See iPad Information & Support for detailed information about installing the URMC Profile, the Notability app and Box.com. Miner's Computing Center also supports email accounts for School of Medicine & Dentistry medical and graduate students, and School of Nursing students. We also provide documentation for smartphone and desktop email clients. Accounts are automatically created and issued to all medical and graduate students. Nursing student accounts are created on request. For help call the Computing Center Help Desk at 275-6865 or see Student Email Help. Miner's Computing Center can help with Blackboard login errors and other Blackboard-related problems. See Blackboard FAQ or contact the Computing Center at 275-6865 or Blackboard Support. An on-call professional librarian is available 9 AM - 5 PM (Monday-Friday) to consult with you on any information need including using library resources such as PubMed, CINAHL, EndNote, RefWorks and Mendeley, formatting citations and bibliographies, and designing literature searches. You can reach the on-call librarian at 275-2487, Miner_Information@urmc.rochester.edu, or by visiting Miner Library. For more information, please visit https://www.urmc.rochester.edu/libraries/miner/research/studentservices.cfm. Access Handshake at the Professional Development Site. It’s something we rarely talk about: how it feels when a grant application isn’t funded. And yet, it’s by far the most common outcome for any such submission – an unavoidable consequence of paylines that are in the low teens or single digits. The months between the submission of a grant and its review pass surprisingly quickly. And then time slows to a crawl. The self-doubt and self-criticism become more insistent. And hope flickers – such a fragile thing, in the end. Recently, after submitting a grant application, I found myself logging onto the NIH website every day after the review panel had met, to see if the scores had been posted. Eventually, they appeared. This particular grant isn’t going to be funded. It’s a horrible feeling. A private hurt that’s immeasurably hard to share with colleagues, family and friends. That’s because the narrative is one of failure. But, I’ve chosen to write about it anyway – because we’ve all been here. Because shame thrives in secrecy and loses its power when we talk about it (something I learned from Brené Brown). It’s also true that a life in science requires resilience -- the ability to pick oneself up after a fall and to learn and improve from failure. No one ever said that it would be easy. Infectious diseases still pose a big health risk in resource-limited areas of the world. A fourth-year student in the UR CTSI's Translational Biomedical Sciences Graduate Program, Marhiah Montoya, is exploring the possibility of repurposing pre-existing estrogen receptor drugs, like tamoxifen, to fight these infections. Read Montoya's mini-review in mBio. UR CTSI Translational Biomedical Science graduate student, Kristen Bush Marshall, will defend her dissertation, titled, “Inpatient mobility to predict hospital-onset Clostridium difficile: a network approach,” on Friday, January 18. She will discuss her use of electronic health records and network analysis of hospital-onset clostridium difficile, a life-threatening infection triggered by taking antibiotics. Martin Zand, M.D., Ph.D., has been her advisor and mentor for the past three years. 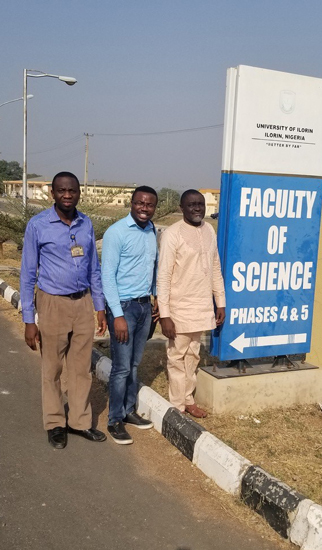 Bush Marshall is committed to becoming an epidemiologist, with a clear focus on infection prevention and understanding the fundamental mechanisms of disease transmission in communities and healthcare facilities. Faculty, staff, and students at the University of Rochester can apply now for funding to support research collaboration activities with their counterparts from any institution in the Research Centers in Minority Institutions (RCMI) program. The UR-RCMI Scholarly Exchange Program awards up to five projects a maximum of $3,000 each to help colleagues from different cultures, disciplines, and academic appointments build partnerships and produce abstracts, publications, or grant applications together and to foster the next generation of researchers from underrepresented populations. Learn more and access the application from the UR CTSI Stories blog. If you have questions, please contact Ivelisse Rivera, M.D., UR-RCMI Exchange Coordinator. Applications are due Friday, January 25. Job hunting in industry might seem like a mysterious or overwhelming task, but there are specific skills you can learn to make the process approachable and successful. In a series of four talks, Bill Lindstaedt, the Assistant Vice Chancellor of Career Advancement, International and Postdoctoral Services (CAIPS) at the University of California, San Francisco (UCSF), will show you how to effectively search, apply, interview and negotiate for industry scientist positions.